I have just been handed a new portrait of myself. I look like someone who got off the Space Mountain ride at Disneyland and needs medical attention. Or like someone who staggered out of a bar at 3 a.m. after a night of binge drinking. Or like SpongeBob SquarePants’ grandmother—SpongeBob’s deranged and demented grandmother. It’s not bad considering it came from a 3-year-old. She meant well. At least I think she meant well. I have new appreciation for the personal secretary of Clementine Churchill, who set fire to a portrait of Winston Churchill. The painting was commissioned by the British Parliament on Churchill’s 80th birthday and was loathed by both the Churchills. Does one torch a portrait done by a grandchild? No, not one this funny. My eyes are askew, and I have a crooked smile, overlapping eyebrows and curly hair wherein each curl looks like a tiny contorted worm. The whole package is encased in a square body, hence the SquarePants family resemblance. Maybe I’m being vain, but I didn’t think I was the shape of a square. At least not yet. Maybe I’m delusional. They say we never see ourselves the way others do. Do we ever like pictures of ourselves? Personally, I prefer all close-ups of myself to be taken at a distance of at least 50 feet. We often think we look better than we do. Then, when we see candids of ourselves, we are sometimes taken aback. 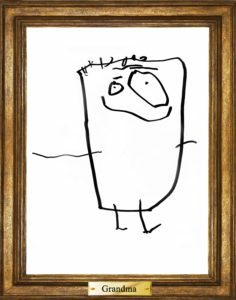 I will say the SpongeBob SquarePants Grandma drawing is better than a portrait another grandchild did. At only age 7 and the child went for stark realism, drawing in every wrinkle and laugh line. My face looks like an unforgiving all-cotton sheet left in the dryer too long. I’ve given the kid 30 days to redeem herself. The publicity photo I use is several years old and should probably be updated with a more current one. A new publicity photo isn’t as simple as it sounds. There’s an art to the publicity photo. You want it to look nice, but not too nice. If it is too nice people won’t recognize you when they meet you in person and will feel tricked and betrayed. It is far better, albeit mildly humiliating, to send out a realistic photo and have people pleasantly surprised when they meet you in person. 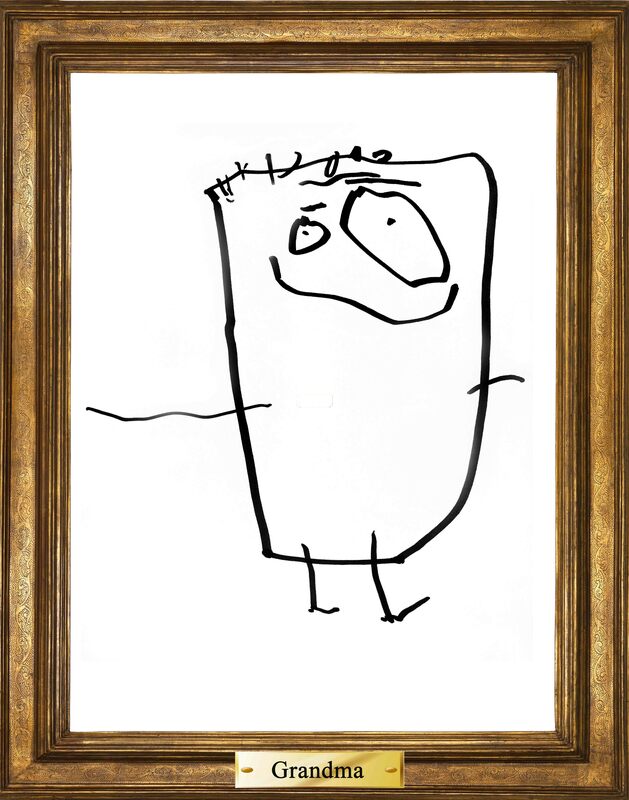 I may start sending out my SpongeBob Grandma portrait. People should be thrilled when they meet me in person—and ask how long my recovery took.